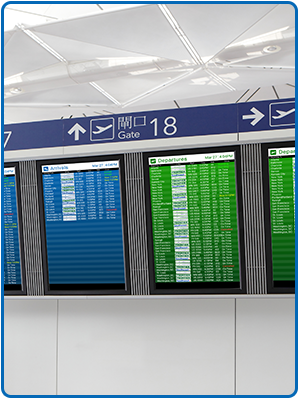 GDS-4W™ is a mission-critical display information system that combines display information and critical visual alerts in one solution. 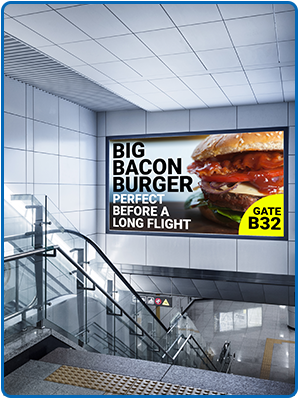 It leverages HTML5 technology allowing easy administration using any network connected web browser to design and broadcast generated content. 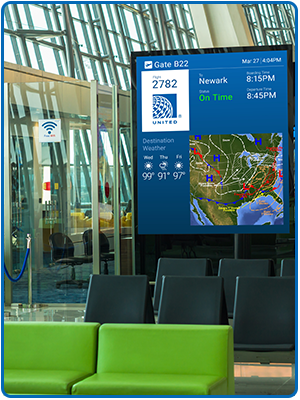 With GDS-4W™, facilities can visually engage and notify customers, employees, and visitors across displays and mobile devices throughout an enterprise facility. 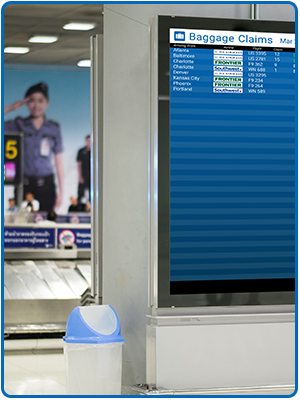 NotifyNOW™ is an exclusive patented software innovation built into GDS-4W™ that provides automated priority visual paging and way finding that overrides displayed content and immediately broadcasts the NotifyNOW™ content when deployed as part of a GLOBALCOM.IP® system. 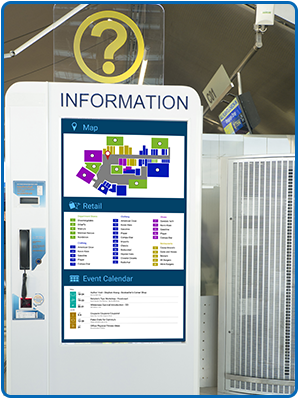 Once the NotifyNOW™ content is completed, the system seamlessly reverts back to normal broadcast content making it ideally suited for emergency evacuation or mass notification alerts. 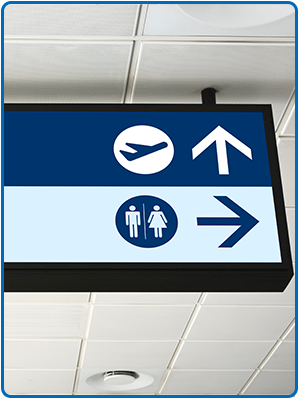 Additionally, NotifyNOW™ meets ADA compliance standards. 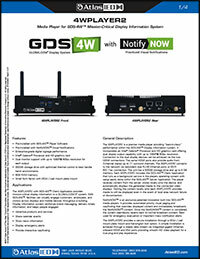 The GDS-4W™ online user manual is the easiest place to learn how to use and operate the GDS-4W system. 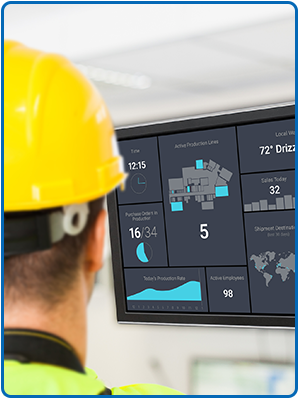 Broken into specific sections, the online user manual provides detailed information on how the system works and how a user can manage it to maximum effectiveness. Click HERE to visit the online user manual. 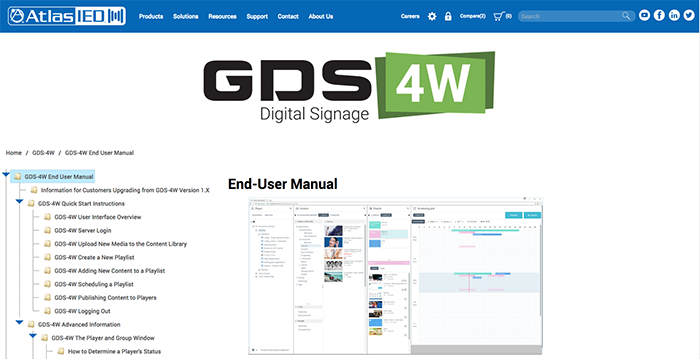 Video library that dives into each section of GDS-4W providing context and content to assist in programming and understanding work flow within the GDS-4W platform. Click HERE to visit the online education page. 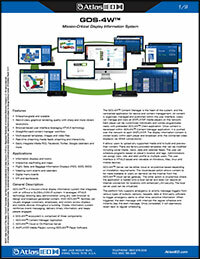 Download the technical data sheets by clicking on the above images. 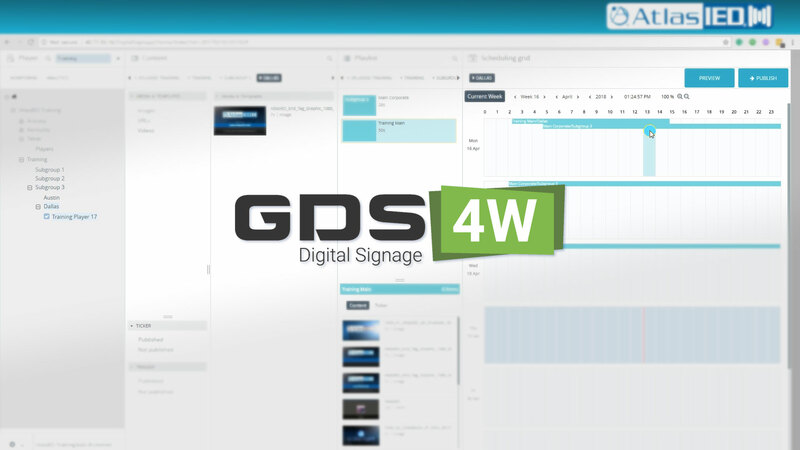 The GDS-4W™ Content Manager is the heart of the system and the centralized application for device and content management. 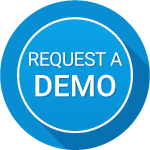 The user interface is HTML5 based and viewable on systems running Windows®, Mac®, or Linux® operating systems as well as browsers on both iOS® and Android® mobile devices. All content is organized, managed, and published within the user interface. Users can manage and view all 4WPLAYER’s on the network. 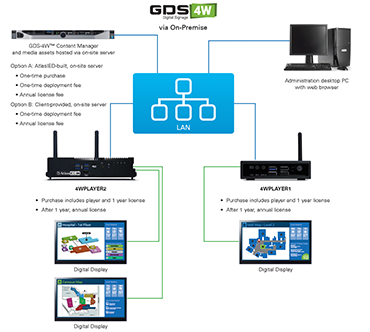 Once content is developed within the GDS-4W™ Content Manager application, it is routed via the network to each 4WPLAYER. 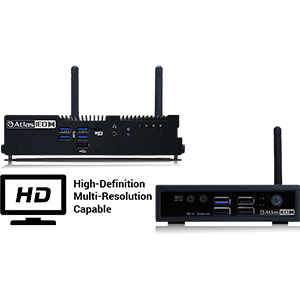 The content is stored locally within each player and broadcast onto the connected video display(s) via HDMI connection(s). 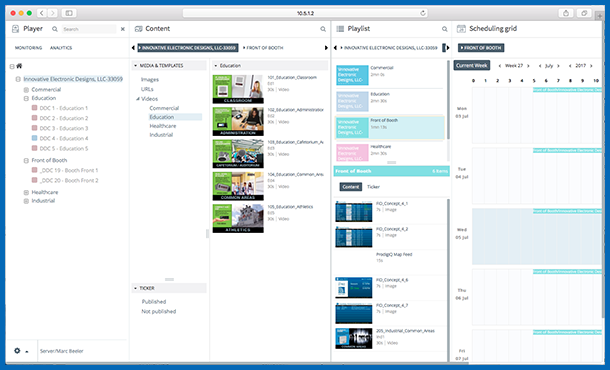 Users can upload any supported media as well as build and preview their content in real time. Factory-provided templates for social media, news, data, and calendar feeds are available and can be modified. 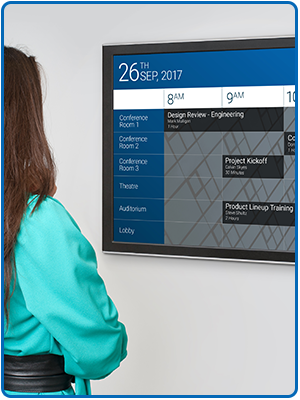 Users can schedule programs based on controller’s location and tags. Administrators can assign view, role, and alert profiles to multiple users. 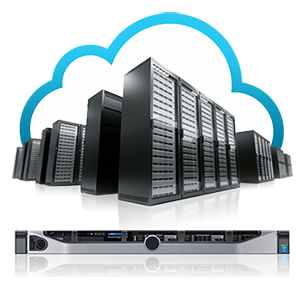 GDS-4W™ Server can be either cloud or on-premise based depending on installation requirements. 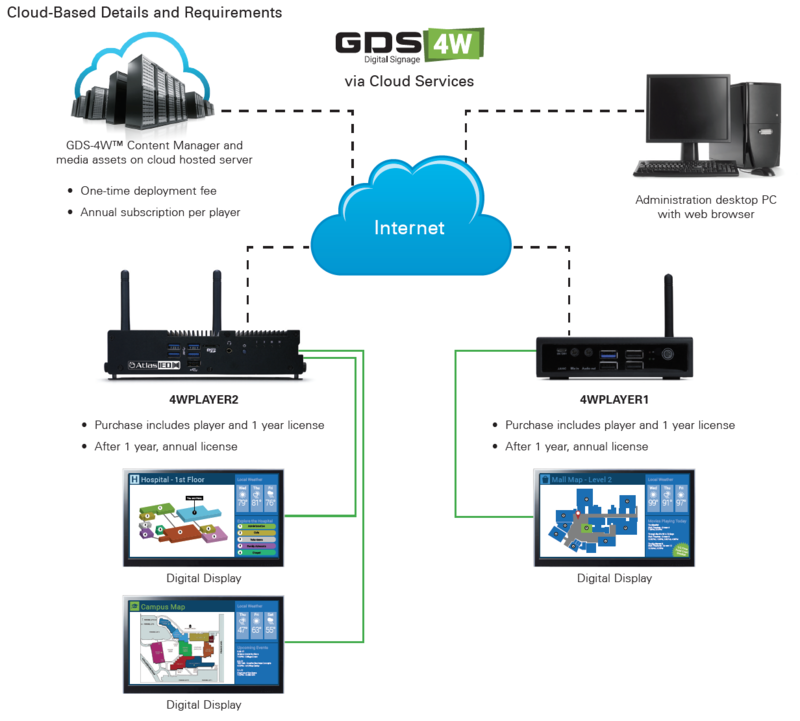 The cloud-based option allows content to be made available to users on demand via the Internet from the GDS-4W™ cloud server gateway. 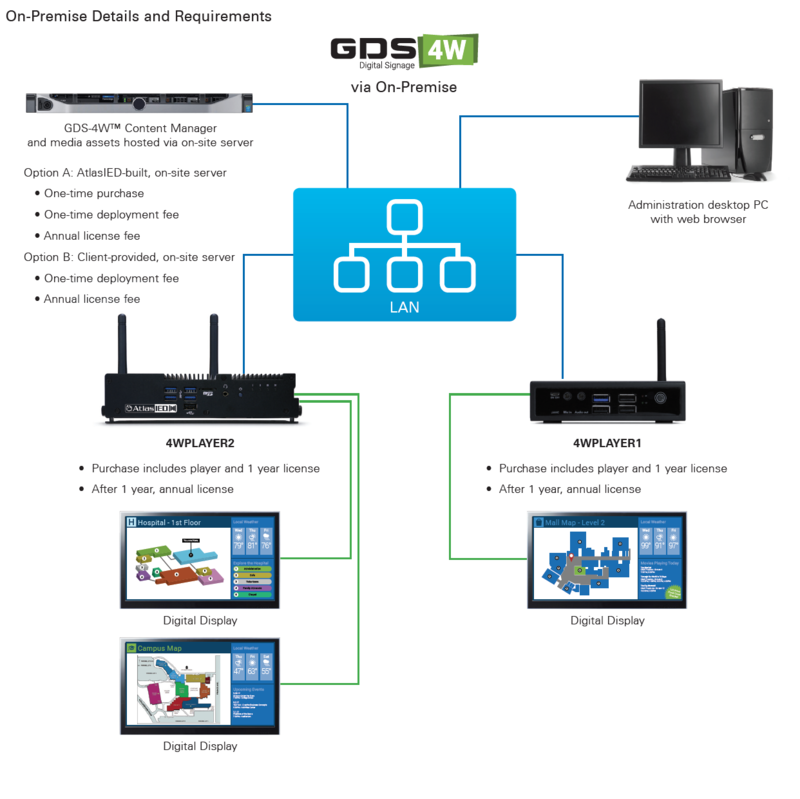 The on-premise option requires the application to be loaded onto a local server and does not require an Internet connection for facilities with enhanced LAN security. The local server used can be virtualized. 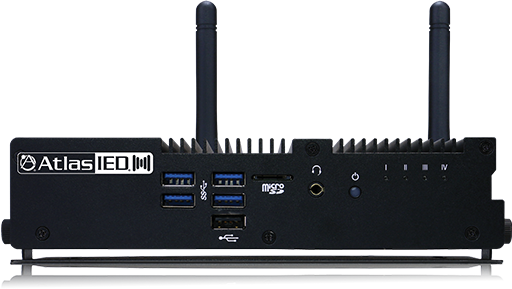 The 4WPLAYERs are ruggedized, compact, and powerful media player. They utilize Intel® processors and HD graphics card allowing support up to 1080P @ 60fps resolution. Connection to a display can be made either by HDMI or VGA port. The HDMI port also provides stereo 2-channel audio. 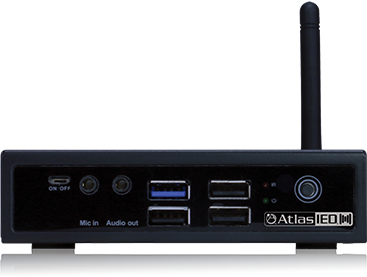 Each 4WPLAYER connects to the network via an integrated RJ-45 Ethernet port or optional Wi-Fi connection. Each 4WPLAYER1 includes the GDS-4W™ Player Software Application that runs as a background service in the CDC's operating system with setup easily done within the GDS-4W™ Content Manager. 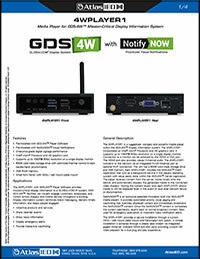 The 4WPLAYER receives content from the server, stores it locally on its internal hard drive, and automatically displays the generated media to the connected video displays. We provide free assistance. Our team can help consult and ensure you make the right decision.